The Carbon Trust is a not-for-dividend company that helps organisations reduce their carbon emissions and become more resource efficient. Its stated mission is to accelerate the move to a sustainable, low carbon economy. It reinvests surpluses from its group commercial activities into its mission. 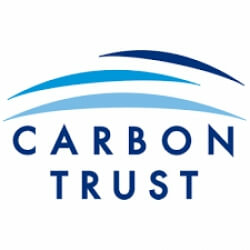 The Carbon Trust helps companies and organisations reduce carbon emissions and increase resource efficiency through providing specialist help, support and advice. As of December 2014 the Carbon Trust had saved its customers Â£5.5bn in costs and 60MtCO2. It operates globally and has offices in London, Beijing, Mexico City, Johannesburg and New York. It is particularly active in the UK, South Korea, China, the US, South Africa, Mexico and Brazil.